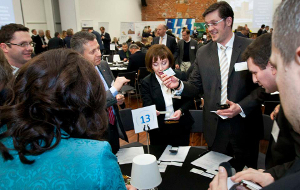 On 6 March in revitalised Ludwik Grohman’s factory in Lodz one held the 1st Grand Speed Business Mixer. The meeting was an occasion to establish new business contacts. The organizers of the event were Lodz Special Economic Zone, construction company MCKB and Raben. 1st Grand Speed Business Mixer was organized as a series of meetings, enabling participants to meet new business partners: co-operators, suppliers and clients, and thus enabling them to widen development opportunities and offer their services to new sectors and markets. Initiation of new contacts between entrepreneurs and discussions of experts were continued during evening networking session. – We met with enormous interest of basically all branches as well as with positive reception of the event from our guests- says Tomasz Sadzyński, President of Lodz Special Economic Zone. – Grand Speed Business Mixer is a project thanks to which our city has a chance to develop and use its hidden potential. these are meetings of creative, industrious people who are passionate about what they do and who want to do something constructive for Lodz. 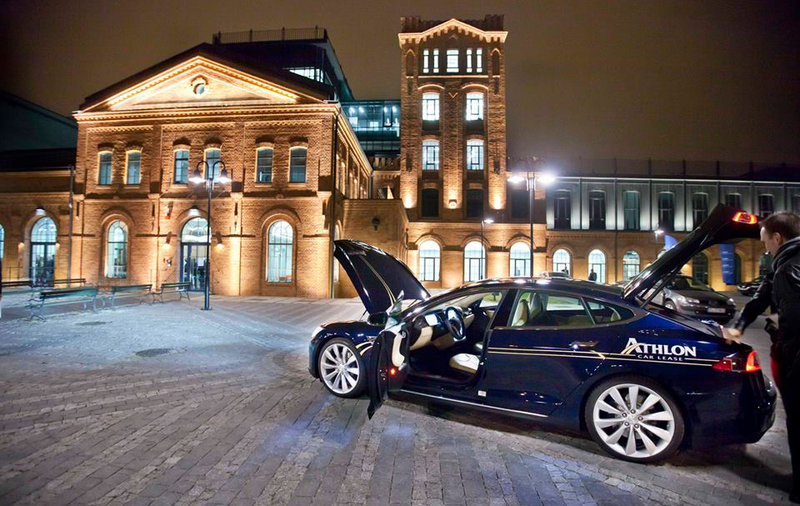 – Lodz is a city that combines the best business traditions and high-tech, the blooming of which we can see everywhere- says Piotr Grabowicz, President of the Board of MCKB. – This is a place of huge, unexhausted potential, enabling development of companies of many branches, both Polish and foreign, and what is even more important, enabling effective cooperation and realization perspective initiatives. We hope that our Grand Speed Business Mixer will turn out to be initiator of many such projects and success of the meeting will be repeated next year during its second edition. More than 300 participants took part in the event. Among them- representatives of city and region authorities, banks and investment funds, new technologies’ sector, e-commerce, logistics, BPO, construction and finishing works along with international production concerns and developers. Partners and participants of the 1st Grand Speed Business Mixer were also chambers of commerce: American Chamber of Commerce in Poland, Polish- British Chamber of Commerce, French Chamber of Commerce and Industry in Poland, Polish- Indian Chamber of Commerce, Japanese External Trade Organization JETRO, Netherlands-Polish Chamber of Commerce, Polish Canadian Chamber of Commerce, Polish German Chamber of Commerce and Industry, Polish- Turkish Chamber of Commerce, Scandinavian Polish Chamber of Commerce, Italian Chamber of Commerce and Industry as well as Alliance Francaise Łódź and Business Centre Club Lodz Branch. Presence of representatives of chambers of commerce enables international exchange of experience in the area of business and culture. Sponsors of 1st. Grand Speed Business Mixer were international audit- advisory company KPMG, Athlon Car Lease- a company providing car leasing, BPS Bank (BPS Group), British Centre language school, Dalkia- heating network manager, brokers’ company Donoria, law company Fortak & Karasiński Radcowie Prawni, Mazowieckie Zrzeszenie Handlu, Przemysłu i Usług (Masovia Association of Commerce, Industry and Services), Supremis – certified SAP Gold Partner (worldwide leader of software for companies) and Vesbo- manufacturer of sanitary installations. Media partner of the event was portal BiznesPolska.pl.